I have a layer of CROSS SECTIONS (34) and the same number of IMAGES correspondent of each section. In the cross sections layer I have a column named PHOTOS where I defined this field as "ATTACHMENTS > IMAGES" in the attributes form. <body style="font-family:calibri;"> <p>  <span style="color:#0c0002;font-weight:bold;"
>CROSS SECTIONS </p>  SECTION NUMBER =  <span style="color:#d91e3d;font-weight:bold;"
This retrieve the string (path to photo on your drive) from PHOTOS attribute for atlas feature. Not the answer you're looking for? 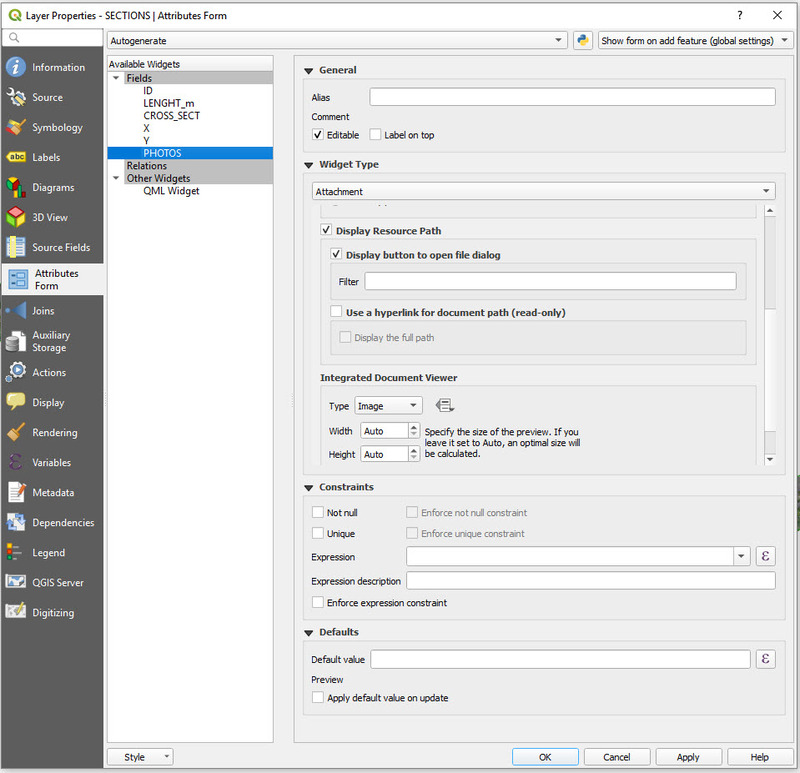 Browse other questions tagged qgis print-composer image html or ask your own question. 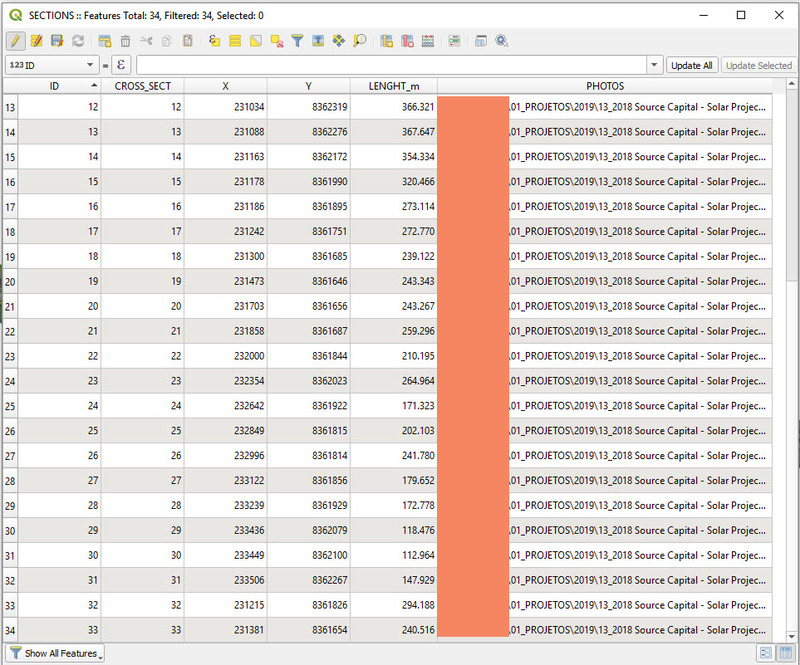 Why does QGIS Polygonize ignore the no data value? 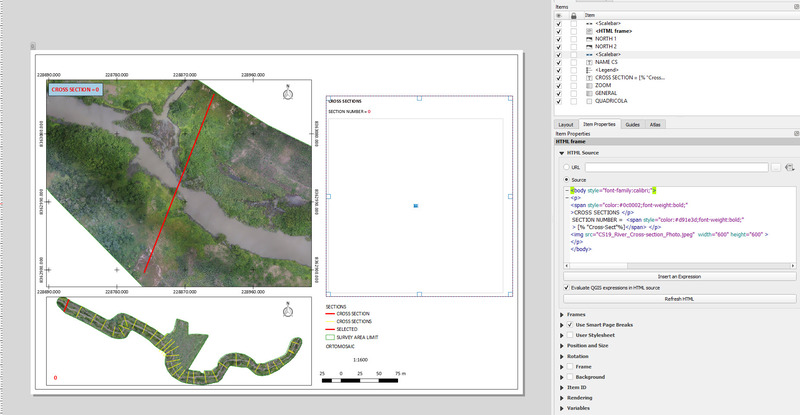 What are the wider capabilities of the QGIS atlas functionality? QGIS Atlas generation for multiple map extents?